Where to find Glenties hotels near an airport? Where can I find hotels in Glenties that are near tourist attractions? It's recommended you book early as there is not a wide range of Expedia-registered hotels that are less than 0.1 kilometres (0.06 miles) from the heart of Glenties. The nearest Expedia-listed hotel is the Harvey's Point Hotel, Ireland, which is located 19 kilometres (12 miles) from the heart of Glenties. 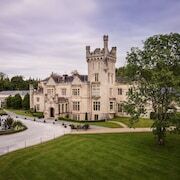 Another close alternative is the Lough Eske Castle, a Solis Hotel & Spa, in Ireland, which is 19 kilometres (12 miles) from the heart of Glenties. 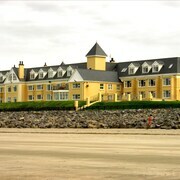 The Sandhouse Hotel is positioned 25 kilometres (17 miles) from the middle of Glenties. 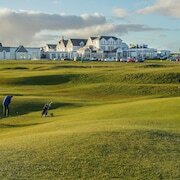 Or, alternatively, the Mill Park Hotel can be found 19 kilometres (12 miles) away. 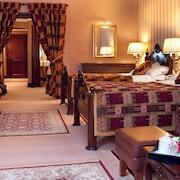 Some other Expedia-listed accommodations are the Woodhill House and the The Abbey Hotel Donegal. 35 kilometres (20 miles) to the south of Glenties you'll find Ballyshannon, where you can spend a few hours exploring Five Oaks Ranch and Lakeside Centre. 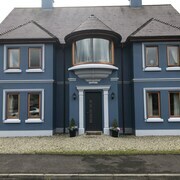 If you'd like to spend a few nights in Ballyshannon, check out the Randwick and Heron's Cove. 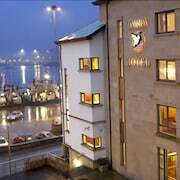 Or stay in Killybegs, 19 kilometres (12 miles) to the southwest of Glenties, where you'll find the Bay View Hotel & Leisure Centre and Tara Hotel. The Killybegs Maritime and Heritage Visitor Centre and Maritime & Heritage Centre are a couple of the most popular places to check out when you're in Killybegs. Just because you're on vacation, doesn't mean you can't enjoy your love of all things sport. You'll find Letterkenny Leisure Centre 40 kilometres (25 miles) to the northeast of Glenties. 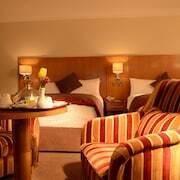 For tourists who are interested in staying nearby, make a reservation in the Radisson Blu Hotel, Letterkenny or Clanree Hotel. If you are traveling into or out of Donegal Airport and choose to stay nearby try Bunbeg House or Caisleain Oir Hotel. 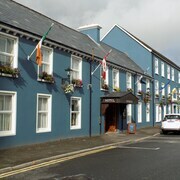 What are the most popular Glenties hotels? Are there hotels in other cities near Glenties? What other types of accommodations are available in Glenties? 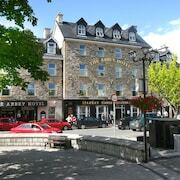 Explore Glenties with Expedia.ca’s Travel Guides to find the best flights, cars, holiday packages and more!